This example explains how Utmost IV searches for datasets in the database use both the defined search and the defined netlist in order to retrieve the measured data. The project file opt_ex04.prj and the data file opt_ex04.uds for this example should both be loaded into your database. When opened, the project will look as shown in opt_ex04_01.png . 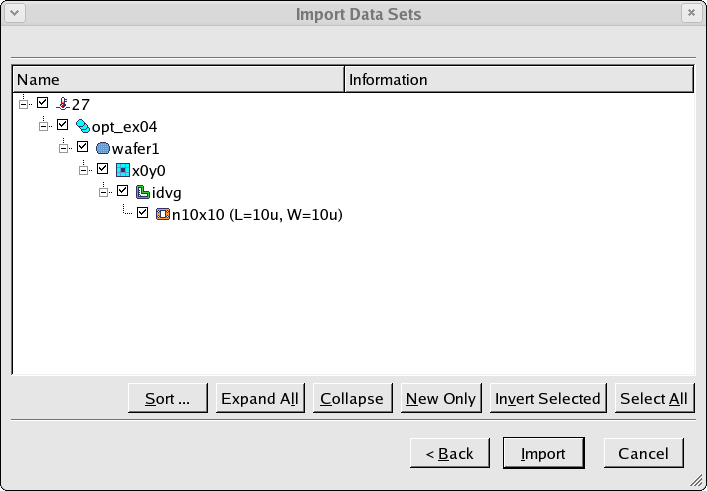 When the measured data was imported, the datasets which are contained in the file were as shown in opt_ex04_02.png . 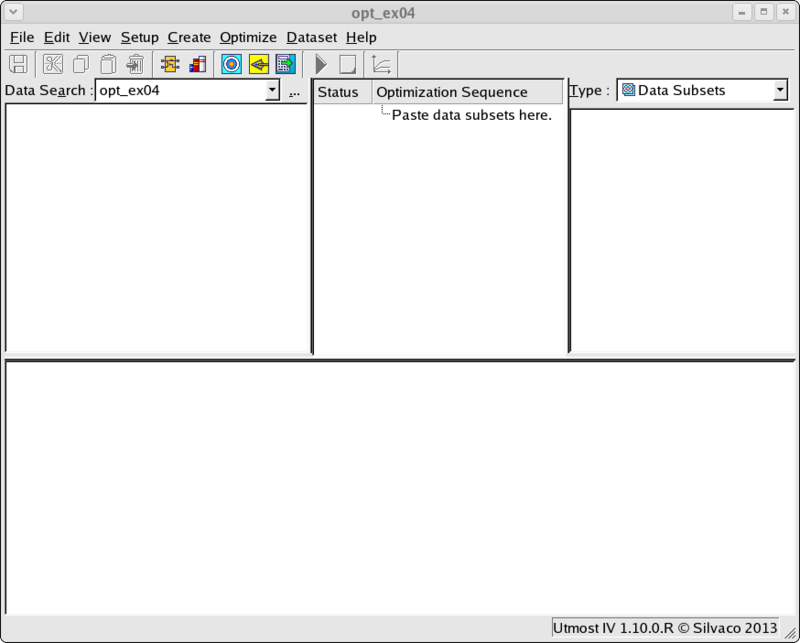 Note that the batch name of this data is 'opt_ex04'. 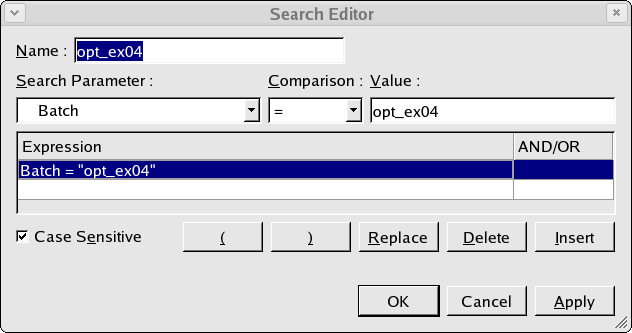 The search defined in this example project also states that any data matching to the batch namt 'opt_ex04' should be returned as shown in opt_ex04_03.png . However, no datasets are visible in the dataset selector area. Why is the data not being returned by the search ? Why is the data missing ? The answer lies in the netlist which is defined in the project. The netlist which is defined in this project has a different set of nodes as shown in opt_ex04_04.png . Edit the netlist in the example project to change the name 'G' to 'G1'. Note that the simulation netlist must also be changed to refer to the new node name as shown in opt_ex04_05.png . 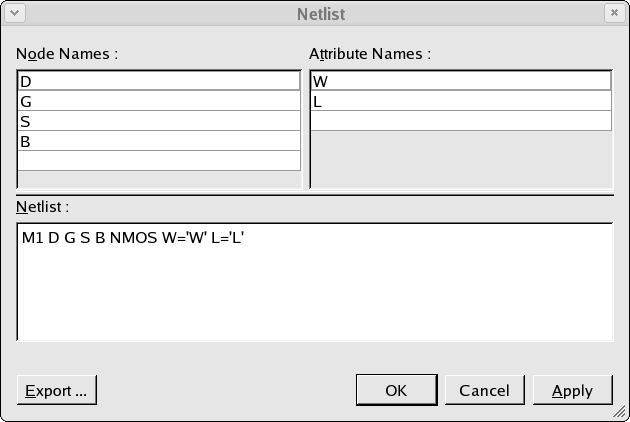 Once the netlist has been edited to contain the correct node names, the search will correctly retrieve the 'missing' datasets from the database as shown in opt_ex04_06.png .